It is vital that agents and managers are always aware of current contact center statistics. Flatscreen wallboards are the best way to convey this information to large groups in real time. 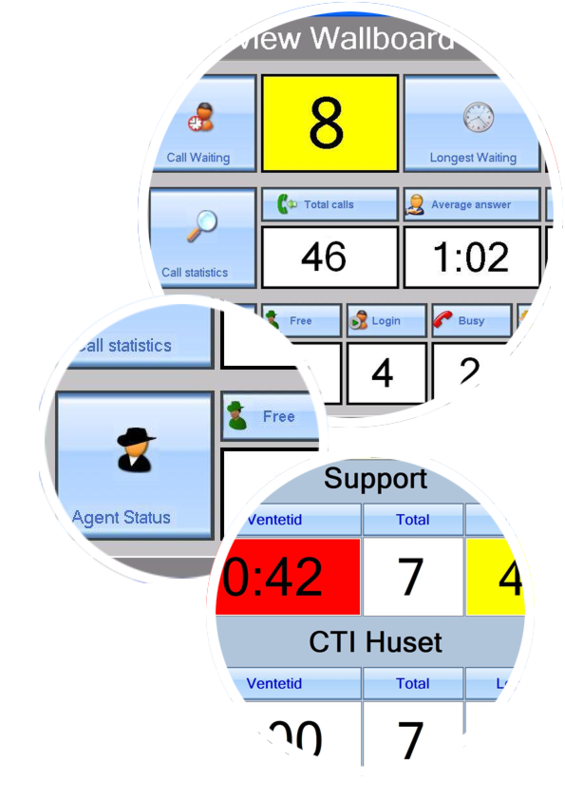 When agents and managers are aware of real-time statistics, they can modify their behavior in order to achieve higher productivity and efficiency.Scantalk’s intuitive software allows you to establish data thresholds that automatically trigger color changes and/or messages, alerting teams within the call center to rapidly changing conditions. This results in more focused efforts to provide optimal customer service. TeamView® Wallboard is an easy and efficient way to show real-time information about the current call and agent loads.And, our brand-new TeamView® Web Wallboard goes one step further. In addition to Flatscreen wallboards, our solution allows Agents to have the same statistics in their own PC using just a web browser. This is useful for Supervisors too as they will have access to statistics even on a mobile phone.